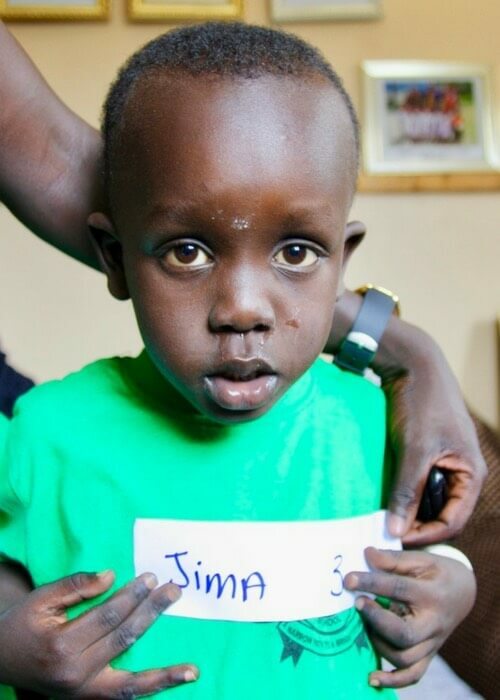 This is the story of 5 orphaned children from South Sudan, a country in horrific warfare. 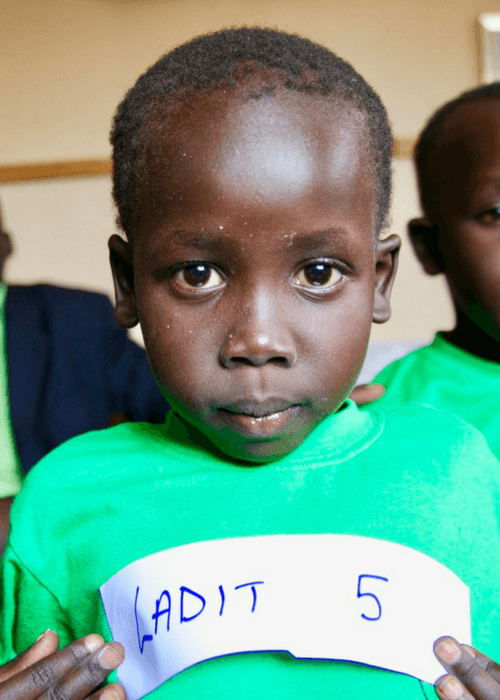 Their father died in Juba after the 2014 uprising, then their mother died in local fighting. They were taken in and looked after by their mother’s sister and her husband. Tragically she then died of a snake bite, leaving these 5 children plus 7 of her own. Her husband knew he could not manage the 12 children. In November 2016 the Yates Family, from Sydney, funded the travel expenses of the 5 orphaned children & a carer from a small village in war torn South Sudan to Northern Uganda, where ChanCes Charity would get them into a local school. 1) We found a car/taxi to drive from Abyei to Rumbek the closest large town. This their first ever car trip, and luckily, they survived this often-ambushed road. 2) Arrived in Rumbek where we found a distant relative to take them in. We sent money to buy clothes and food while they waited for the plane to leave. They had never seen a plane close up, let alone travelled in one! 3) The plane left after just one week -when it was full! Flying from Rumbek to Juba is the only way to pass over the war-ravaged region. 4) Arriving in Juba (the capital) the family was safe but fearful. All these new experiences were difficult. In Juba they needed papers and assistance for border crossings. This was organised by a friend, Deng Mario, who they stayed with. We sent money for documents & food. 5) A bus trip from Juba to Arua – they had nearly made it, but there were reports of Dinka (tribe) people being dragged from the buses and slaughtered. This was the most terrifying part of the journey for the children. The Ugandan army had been sent to guard the roadways from the militia groups, and their journey was delayed for a week while the roads became safer. 6) Finally, they arrived safely in Arua (northern Uganda). We found a woman named Sarah (a distant cousin who had no children of her own) and she assumed responsibility for the 5 children. The family of 6 have settled down together and all the children have been at school this year. But what about the other 7 children left in South Sudan? The father, Abirui, had been pleading with us to get his children, or at least some, to safety and education. But, unfortunately, we just didn’t have the funds. It became more critical for his 14-year-old daughter, Mary, as there was family pressure for her to marry. In South Sudan, fathers receive cows as a dowry and the elders in the family get to share in this good fortune. So Abirui sold his calf to pay for Mary to travel from their village to Rumbek in the hope once she arrived ChanCes Charity could fund her education. As luck happened, Michael Poole for the SER office, came asking if there was any project he could give 50% of his winnings from the SER Footy tipping comp too. A big YES! – Mary could now be flown from Rumbek to Juba. The airfare was now very expensive as many are trying to get out. Mary was reportedly on the last plane out of Rumbek. She finally arrived in Juba, where she was joined by another girl. 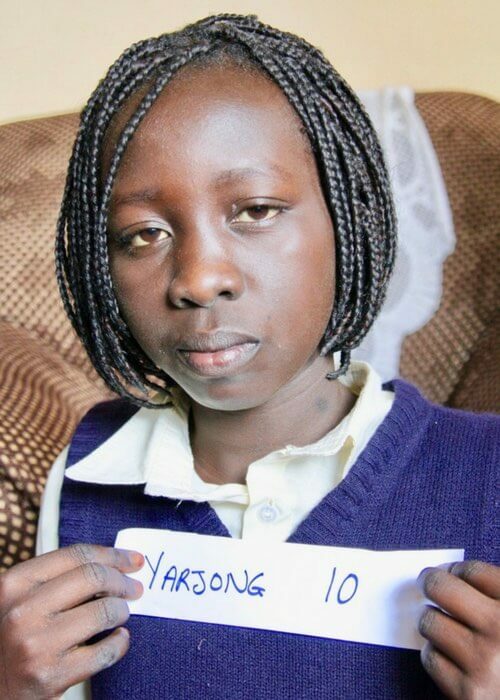 Moch, was the niece of the kind samaritan in Juba, Deng Mario. He could no longer support her as he had lost his job, and unfortunately, her father was dead and her mother was missing. 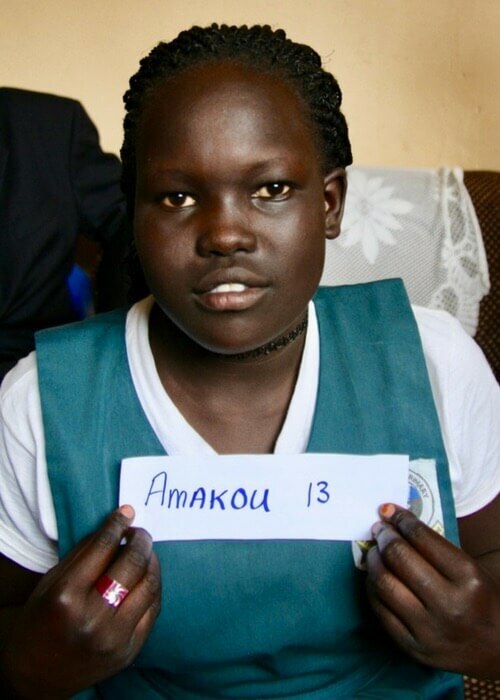 So with the Poole’s family donation we offered both girls transport to Arua, accommodation with Sarah and the other 5 children and the chance to go to school. 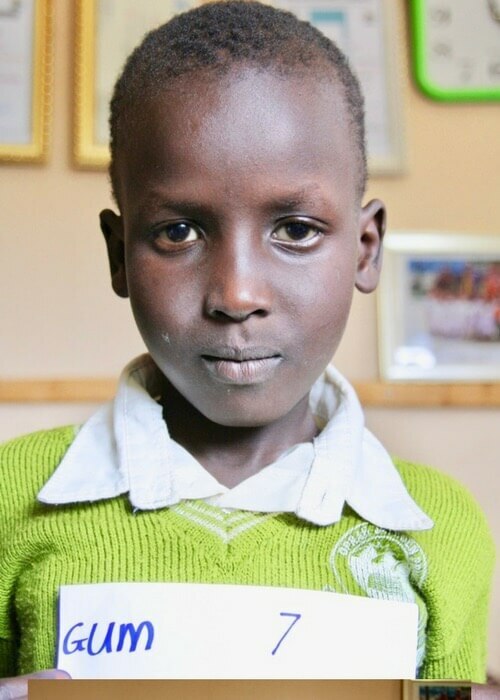 All 7 children are doing very well living with Sarah and going to school, but there are still another 6 children in the family who we would like to be able to bring to safety and send to school.